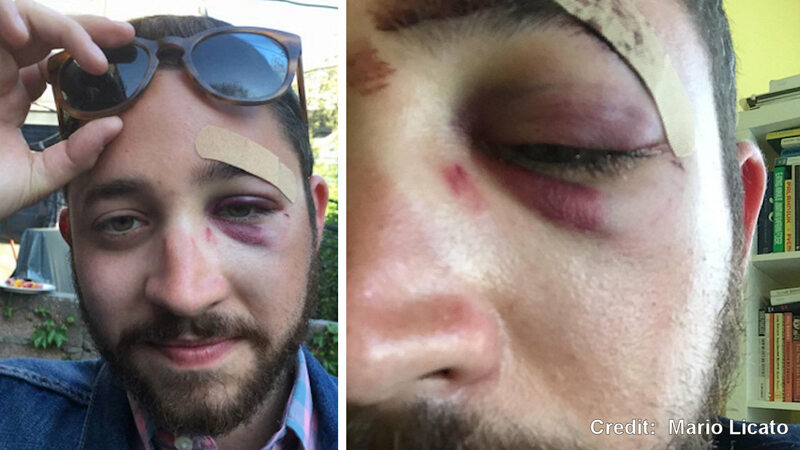 NEW YORK -- A man in Manhattan says that he was assaulted because he looks like actor Shia LaBeouf. Mario Licato, 26, was assaulted on April 23rd at the Delancy Street Subway Station in the Lower East Side around 8 p.m. He was walking up the stairs at the Essex and Delancey Street F train station when a man came up to him and punched him. Before suspect fled, he said, "This is because you look like Shia LaBeouf." So far there are no arrests and the police investigation is ongoing.